The world is rightfully excited for Mario Maker, one of Nintendo’s highlights of its E3 Nintendo Direct presentation. 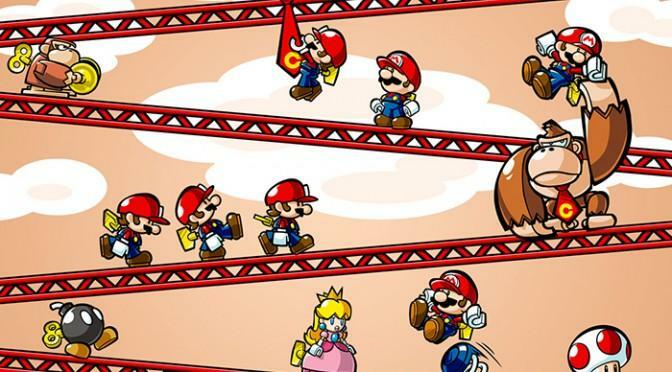 Who hasn’t dreamed of building their own Mario levels before? My five year old self would squeal in excitement after seeing that trailer. Believe it or not, Mario Maker is not the only Wii U game at E3 this year which will let you build set pieces for Mario to jump round in. Well, I’m speaking about cheap wind-up recreations of Mario to be exact. Nintendo’s cute Lemmings inspired puzzle series, Mario vs Donkey Kong, is making the jump to consoles with a full release on the Wii U. Along with Nintendo’s own puzzles included in the game, you’ll be able to create your own in a very deep level editor and share them with friends and other Mii Verse participants. A star rating system will aid in helping with quality control. Nintendo has been really pushing towards creating a social network within its games rather than around its games, and both Mario Maker and Mario vs Donkey Kong are going to prove just how well Nintendo can bring people together. I can’t wait to play either of these games, and I can’t wait to play your levels. I’m so glad that Nintendo has come around to the idea of social gaming, and I’m thrilled that it is doing maybe even a better job than Sony and Microsoft at getting people excited to play together. No release date has been given yet for Mario vs Donkey Kong U, but keep your eyes open for it in 2015.